Today, during a Holy Communion service we had the addition of a baptism, that of Joseph Samuel Mason. Proud parents, James and Dawn, watched with Church Minshull grandparents, Brian and Mary Charlesworth, as the Rev. Anne performed the service. Joseph was very well behaved, peering into the font when the time came for the anointing. 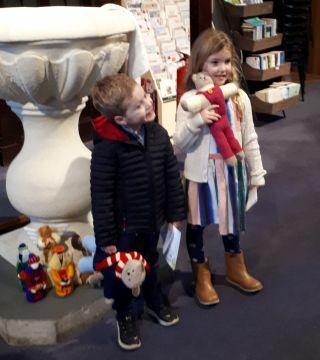 We were pleased that the large congregation stayed for refreshments after the service, before going to Higher Elms Farm for a family gathering. Welcome to God’s family, Joseph. 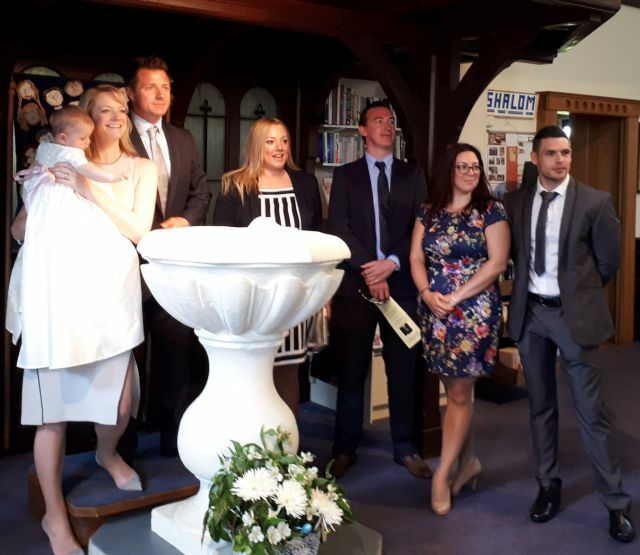 Scarlett and Seb Buxton Baptism. 20th Jan 2019. 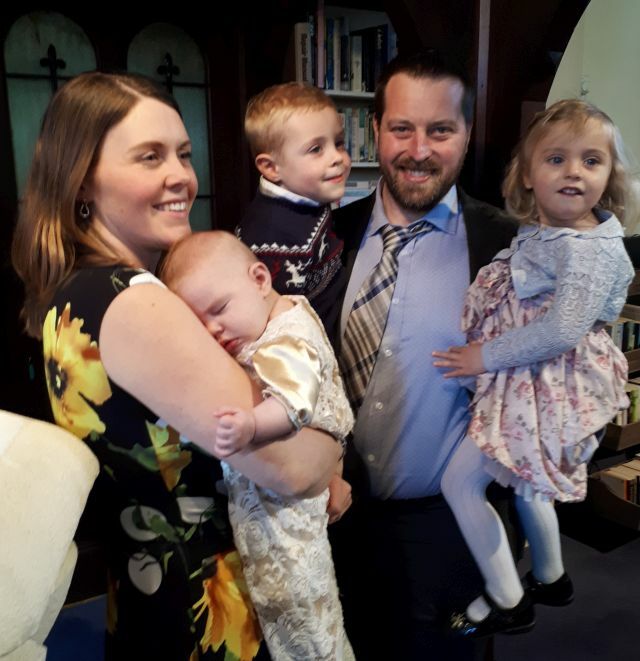 Scarlett Ann and Sebastian James Lewis were baptised today by the Rev. Anne at St Bartholomew’s with friends and relations. Both children know the vicar from school and live on Wood Green Lane, Church Minshull. 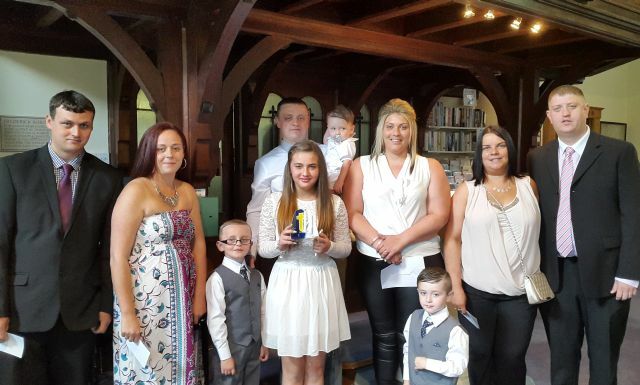 We welcomed them to the church family before they went next door to The Badger to celebrate the double event. St Bart’s was pleased to play host for the baptism of Sophia Grace Charlesworth. Parents, Grandparents and Godparents all watched as Sophia behaved perfectly throughout the service. The Rev. Anne officiated and we welcome Sophia into God’s family. 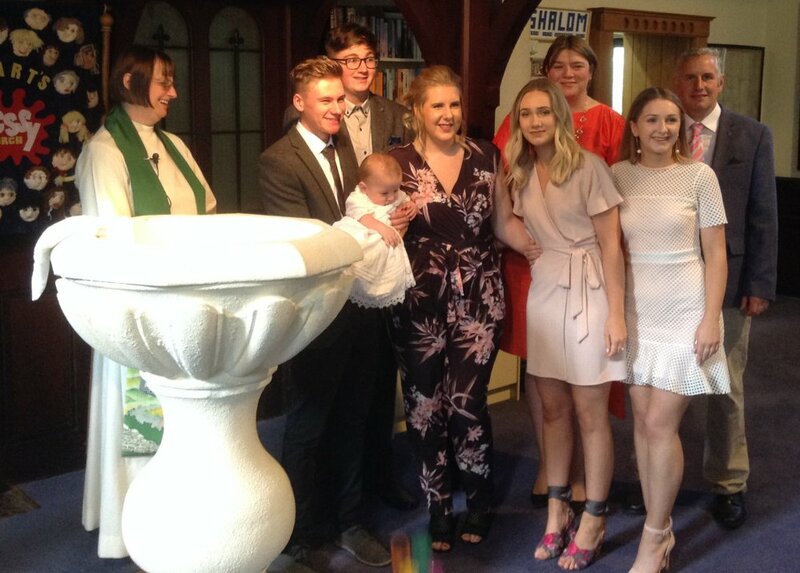 Today we celebrated the baptism of Mollie Alice Yarwood, with over a hundred friends and family. The Rev. Anne officiated but Mollie was unappreciative of another wash, even if it was in a font. We pray Mollie will have a long and happy life and welcome her to God’s family. 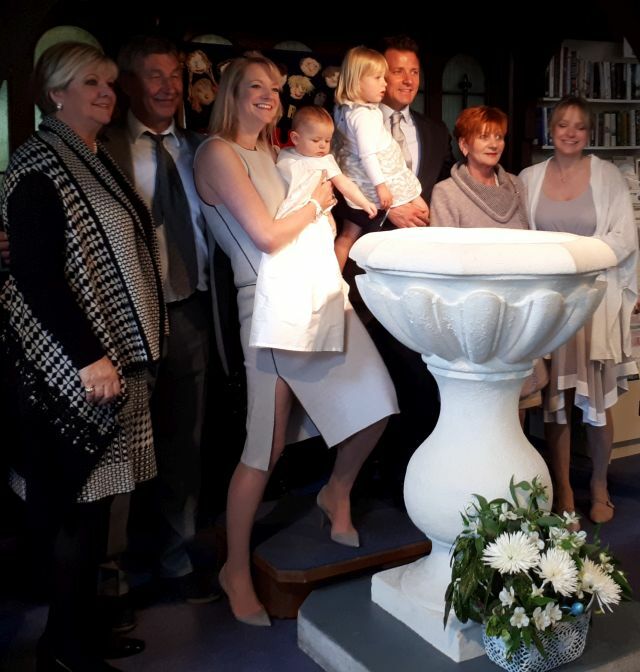 St. Bartholomew’s was delighted to welcome the Platt Family for the Baptism of Harry George Platt, the son of Alex and Michael Platt. The service was a Holy Communion and Baptism and the Rev. Anne officiated. We welcomed Saskia Poebe into the church family today, when she was baptised by the Rev. Anne at St Bart’s. Proud parents, Dominic and Emma Jonas were joined by friends and family, including Saskia’s grandparents from Poland. We wish Saskia every blessing as she starts her life, may it be a long, happy and healthy one. Photos 3 & 4 to attach. St Bart’s was delighted to welcome Jessica Boote to the Church. Jessica has been coming to Church with her parents Liz and Tim and her sister Isabelle since she was born. Jessica looked beautiful as always and beamed her lovely smile to everyone. Rev. Anne conducted this very special Service, which was attended by a large congregation of family and friends. 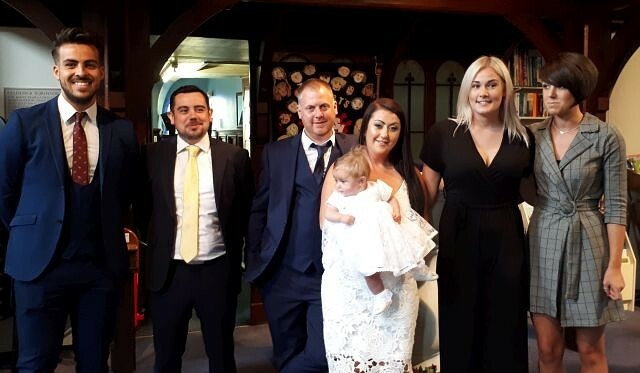 St Bart’s was delighted to welcome Olivia to the Church supported by a large congregation of family and friends, who came to enjoy Olivia’s special day. Olivia looked beautiful in her Christening robe made from mother Dawn’s wedding dress, and proud grandfather Brian Charlesworth read the lesson. Afterwards, they all enjoyed a super party, across the road in the Village Hall. 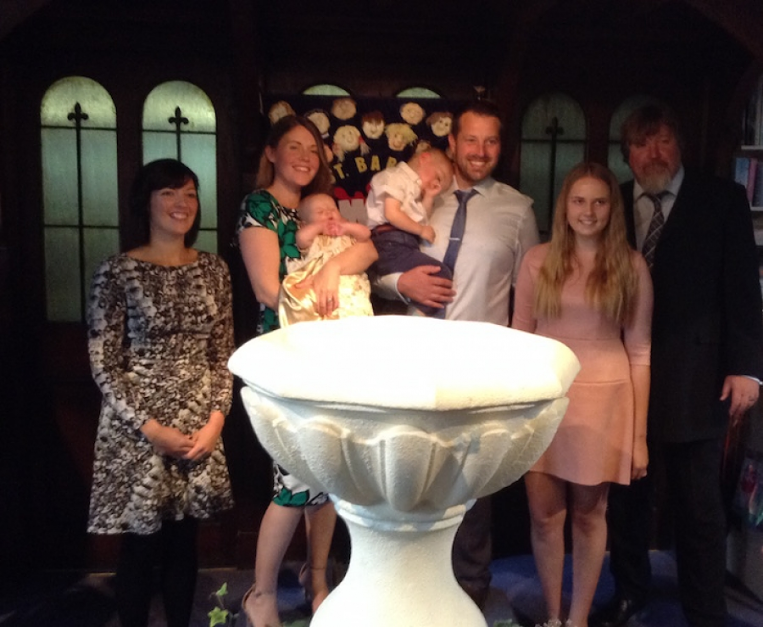 We were delighted to welcome 4 generations of the Charlesworth Family today, for the baptism of Henry George Yarwood. Church was full and Henry George looked very content with Mum and Dad, John and Helen. 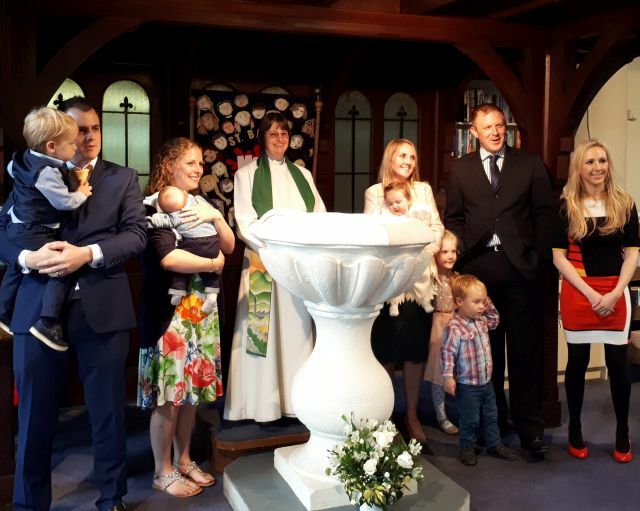 Later, he took the Rev Anne in his stride as she splashed him with water at the font and then happily posed for photos. Natalie Elliott, Martin Charlesworth and James Mason were godparents and the following party was held at Nantwich Football Club. 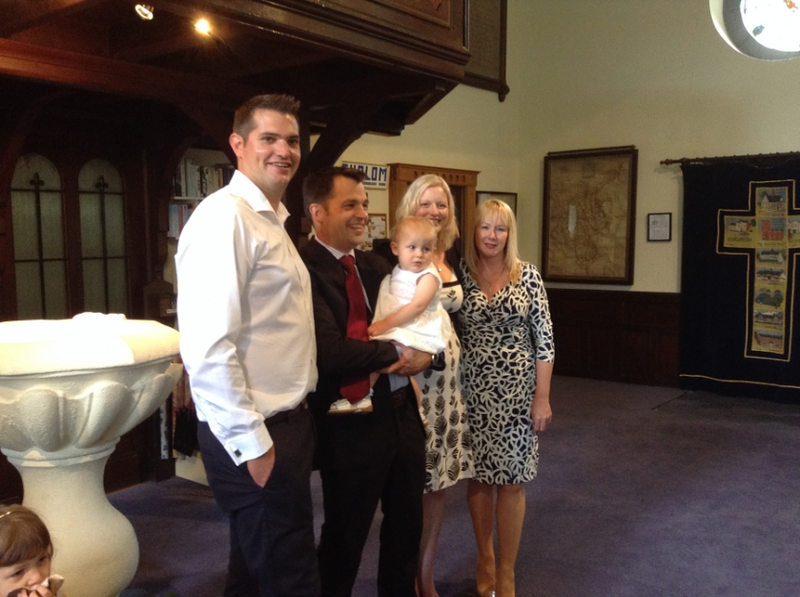 It was a fine sunny day when the Latham family returned to St. Bart’s for Sienna’s baptism. The Rev. Canon John Malbon officiated and welcomed Sienna to God’s family. Blake William Goodier was baptised at St. Bart’s by the Rev. Anne Lawson. Proud parents, Mark and Samantha from Winsford had chosen the church for historical family links and were joined by many family and friends.